Located just across the highway from downtown Austin lies what’s knows as The East Side. This walkable neighborhood is densely populated with drink hotspots and some of the city’s best food finds. 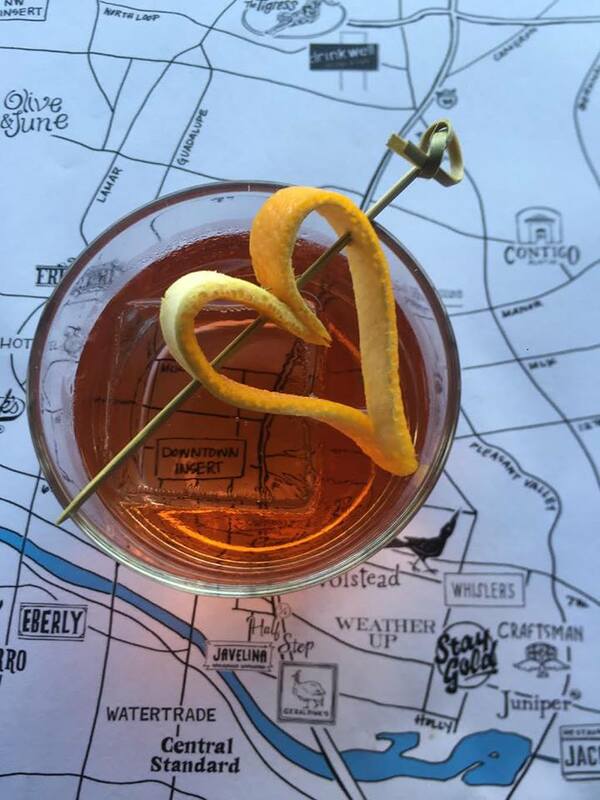 From dive bars to cocktail lounges, here is the insider’s scoop of our top 6 bars in this eclectic part of town. If a hip dive bar featuring red plush booths and a spacious dog-friendly patio (Thurs-Sun only) sounds like your kinda place, check out Violet Crown Social Club. Cheap drink prices and the Via 313 pizza food trailer out in front (serving up authentic Detroit-style pizza) has made this a favorite among locals. Be sure to check out their signature Iron Whip cocktail- a frozen orange dreamsicle concoction with a surprising kick. This beautifully eclectic bar features Victorian style furnishings and is named after the owner of one of London’s most famous opium dens. Serving up an array of wine, beer, sake, and expertly crafted cocktails, Ah Sing Den is the perfect way to start out your night. For light bites be sure to try out one of their Asian-inspired appetizers like the gyoza or the pork ribs. Warning: Be sure to sit inside if you mind a chicken roaming free on the patio. Thanks to it’s laid back atmosphere and rustic-chic decor, this neighborhood hotspot makes the perfect destination to grab a couple drinks with friends or coworkers. Not only do they have great daily happy hour specials (4-7pm), Whisler’s also features an intimate mezcaleria upstairs. If you’d prefer adding to your liquid diet, the Thai-Kun food truck outside offers up spicy Thai fare that includes both vegan and gluten-free options. 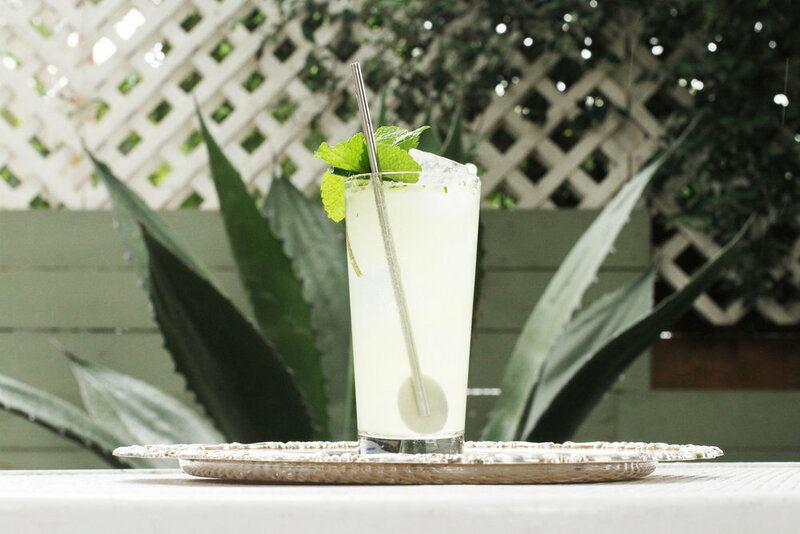 An array of specialty cocktails and punches are available at this 1970s Palm Beach inspired patio bar. 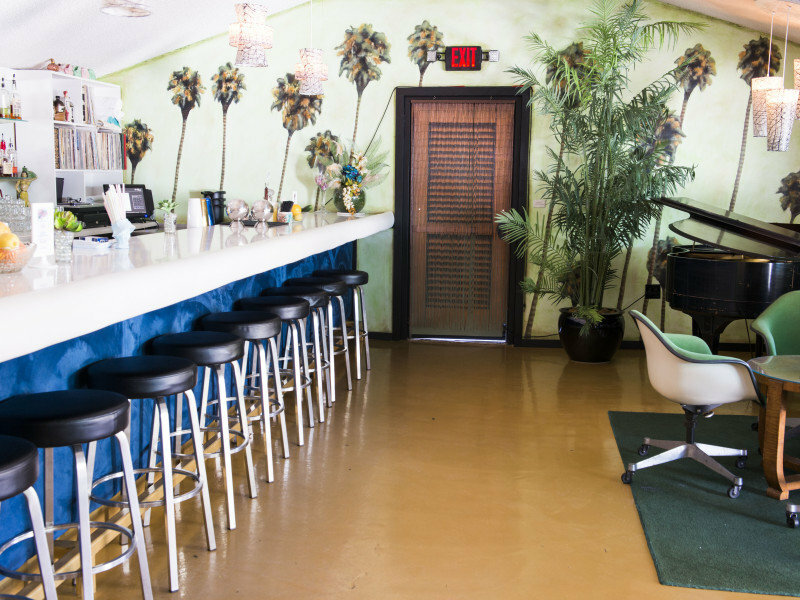 It’s funky retro aesthetic comes complete with vintage decor, a baby grand piano, and a pool! For a twist on a French 75 try their Foxy 75 cocktail, which incorporates brandy instead of gin. For groups they offer punchbowls which serve 4-6 people and have a 2 person minimum to purchase. Pro Tip: Be sure to check their website for weekly chef-driven pop-up events. Transformed from an old mechanic shop, the founders of Zilker Brewing Co. visualized a place where every aspect of the brewing process is on display. Open everyday except on Mondays, visitors can enjoy pours of Zilker's American Belgo style beer. Their current lineup includes Marco IPA, Parks & Rec Pale Ale, Honey Blonde (made with local honey), and their Coffee Milk Stout which is inspired by Café Cubano and incorporates rotating seasonal coffee varieties. For the perfect pairing to their delicious beer selection try the burgers, tacos, and snacks offered by the on-site food trailer Hot Mess. As a special treat for our guests staying at The Arnold, be sure to bring your drink voucher and try one of their beers on us! Featuring smoked meats like brisket, ribs, and chicken available by the pound, Eastside Tavern is the perfect spot to enjoy some good ol’ BBQ and a cocktail or two. Their roomy patio makes it easy to spend happy hour sipping on frozé (frozen rosé) or one of their barrel-aged draft cocktails. Also if you’re looking for a weekend brunch spot, you can find $10 bottomless mimosas and $15 bottomless bloody marys on Saturdays and Sundays from 11am-3pm. As for menu options, we recommend trying the brisket and cheddar tater tots! Whether it’s hanging out with co-workers or spending a weekend night out on the town with friends, the East Side has a vast array of unique and exciting bars to choose from. Did we forget anything? Let us know your favorites in the comments; we're always looking for new local hotspots.